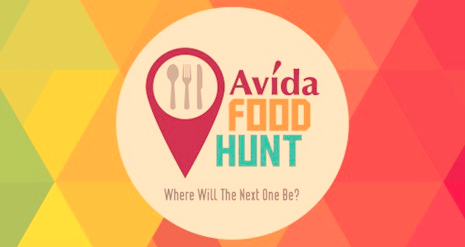 Around the last week of June, I received an e-mail invite to the second leg of the Avida Food Hunt. 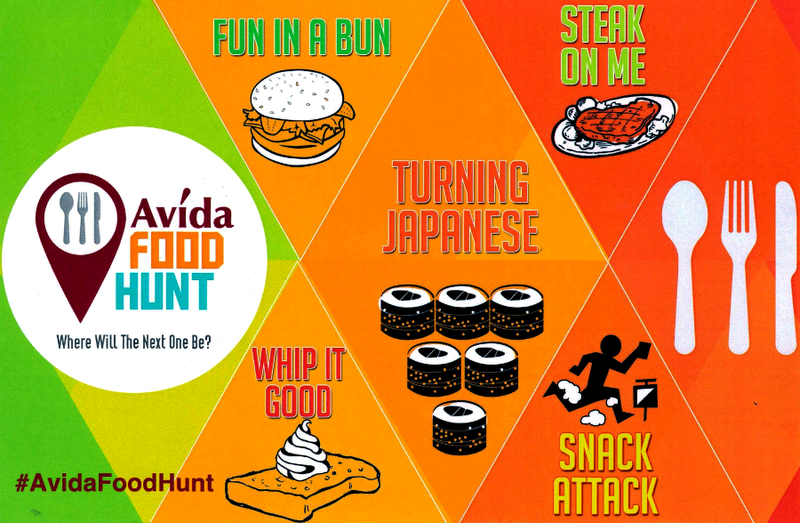 I was really intrigued with the thought of participating in a "food hunt," with the e-mail containing clues such as sampling a 30-year old authentic Japanese restaurant, a Korean-inspired cafe, a DLSU dining institution and many more. 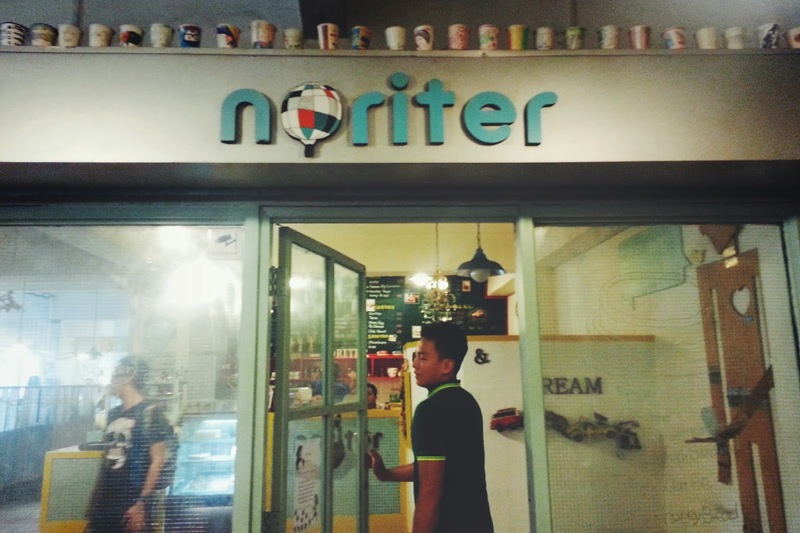 Considering I live in Gil Puyat Avenue, I was really curious of these places. And of course, I couldn't resist joining! I asked Ian to tag along because he loves gastronomic adventures as much as I do and we thought it would be a nice idea to film the event using his GoPro! 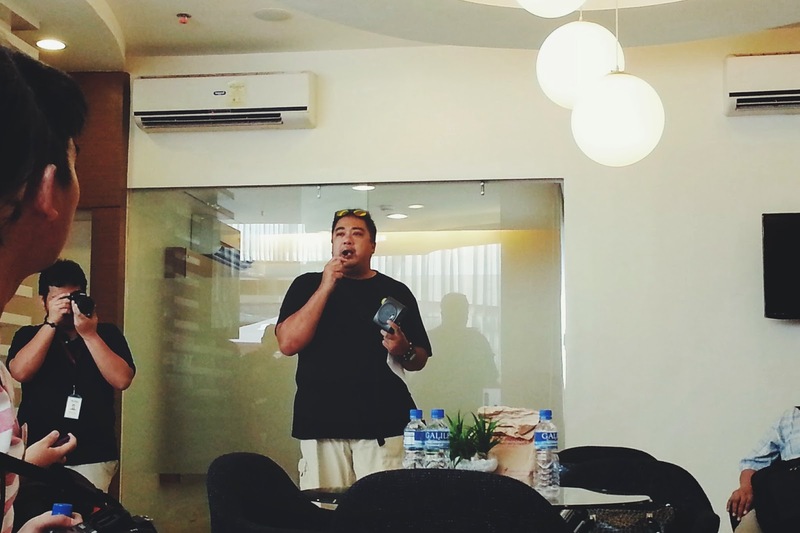 All the invited participants were gathered at Avida Towers Prime Taft where the event started with a tour of the showroom. What's great about Avida Towers Prime Taft is that it is strategically placed in such a way that you are only a few minutes away from top universities. Plus, it is also nearest to three major city centers, namely Manila's Taft Avenue, Makati's central business district and Pasay's commercial centers! 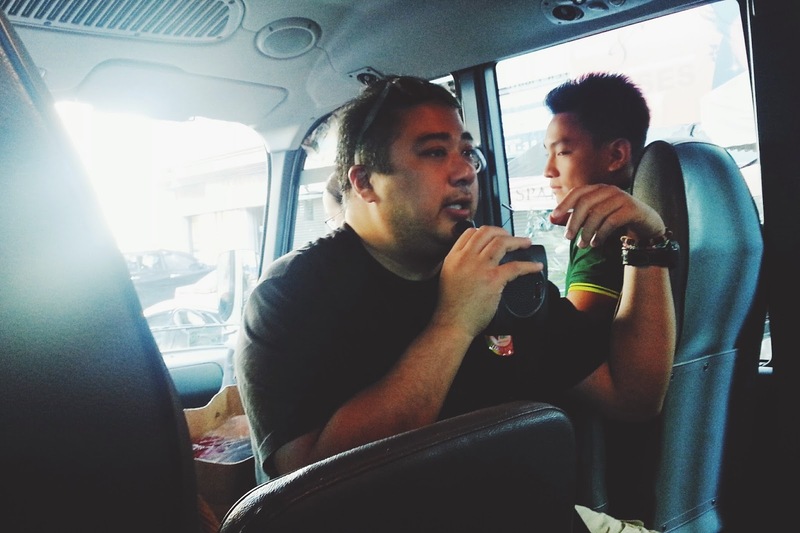 Chef JJ Yulo of Pinoy Eats World headed the event, and we were also joined by Thomas Torres, DLSU Green Archers' point guard, to give us some tips and tricks on eating smart while on a budget around the Taft area. The clue for our first stop was Fun in a bun. 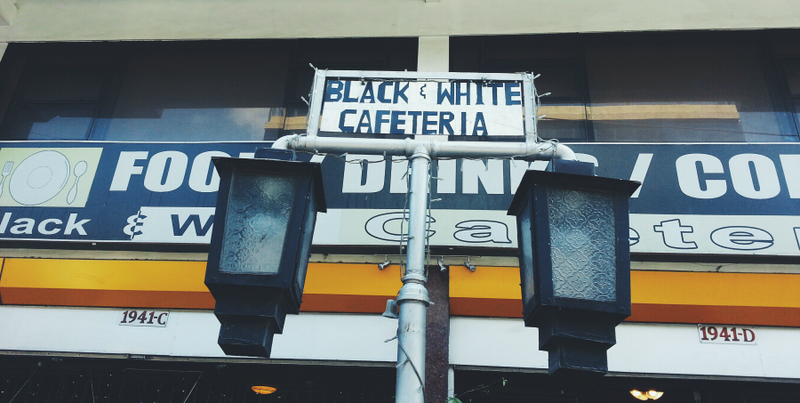 And just right beside the Avida Towers Prime was this restaurant named Black and White Cafeteria. 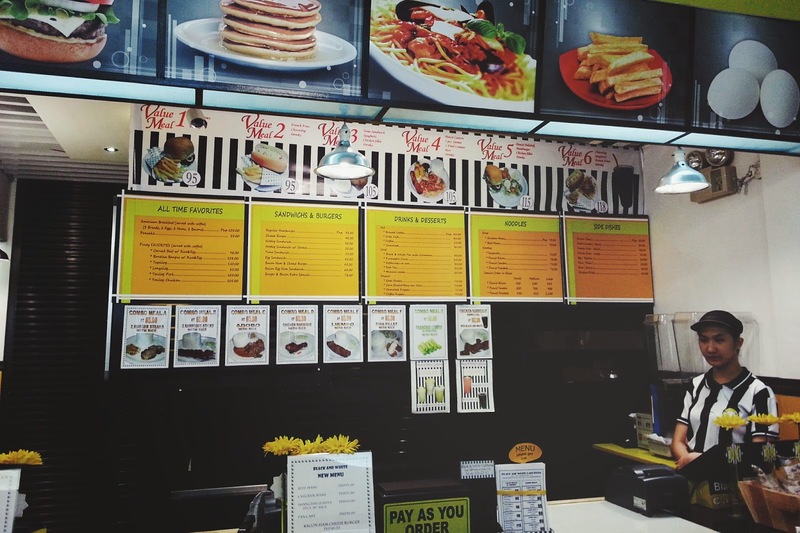 They offer value meals and combo meals at very affordable prices, and their menu extends from burgers to pasta. If you're a student from around the area, you will surely appreciate this more. Variety at a cheap price is always better! So, was this Burger and Bacon Extra Special fun in a bun? Uhm. It was okay. The portions of the burger patty, ham and greens were okay for the price, more bacon please though! We hopped on the coaster, Chef JJ shared some interesting trivia, asked Thomas some ~college life~ topics (haha) while we proceed to our next stop. Chef JJ also asked questions about Black and White Cafeteria and gave away stuff to those who answer it right! 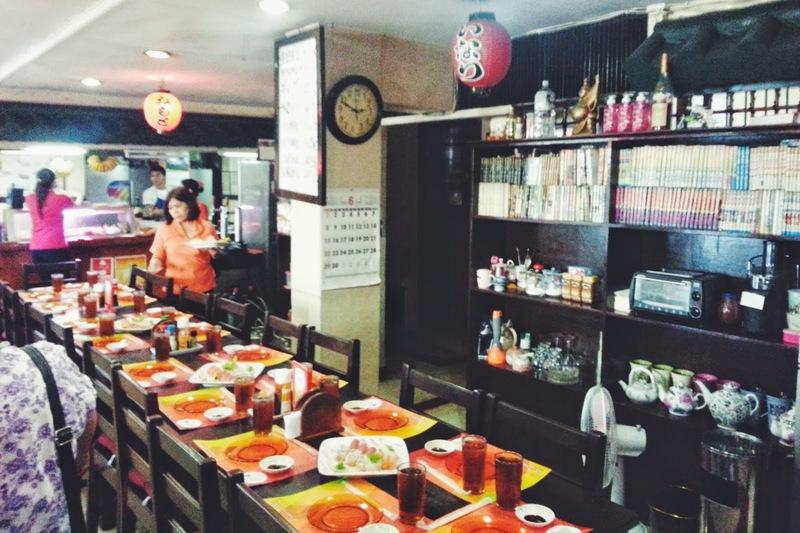 Next food hunt clue: Turning Japanese! 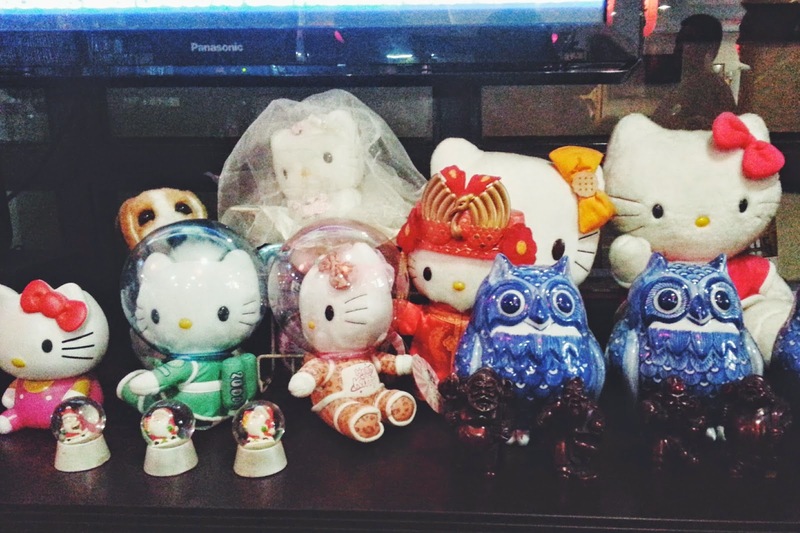 Two things can be said about Nemoto Japanese Restaurant: One, it is one of the longest running Japanese restaurants in the area (30 years), and two, the owner of the place really, really likes Hello Kitty. There's a separate room for smoking patrons, and in another room you can find the office of the owner's other business: their travel agency. We were served the Special Mix (PhP 450) to taste. 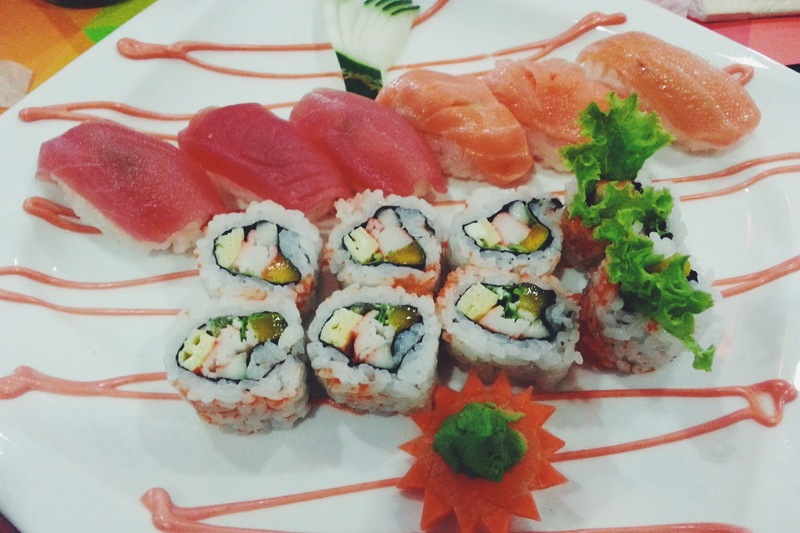 It consists of 3 pieces of tuna sushi, 3 pieces of salmon sushi and 8 pieces of maki. Eventhough I brought my training chopsticks with me, I was too shy to bring them out and look all n00bz~ hahaha. So I used a fork (was supposed to just use my hand because it's the appropriate way but I was sharing this plate with 4 other people so manners, right?) Ian, of course, wanted to try the salmon sushi right off the bat because salmon. I must say I really enjoyed this as well. I'm actually not a big fan of sushi but this was a great treat! Chef JJ also taught us the proper way to eat sushi. You can pick up the sushi with, as I said before, your hand or, of course, with chopsticks, turn it over so that you can dip the fish in the sauce, and that's the time you can eat it. Rule: dip the part with the fish only or don't bother dipping at all. You learn something new everyday! On to the next food joint: Steak on me! 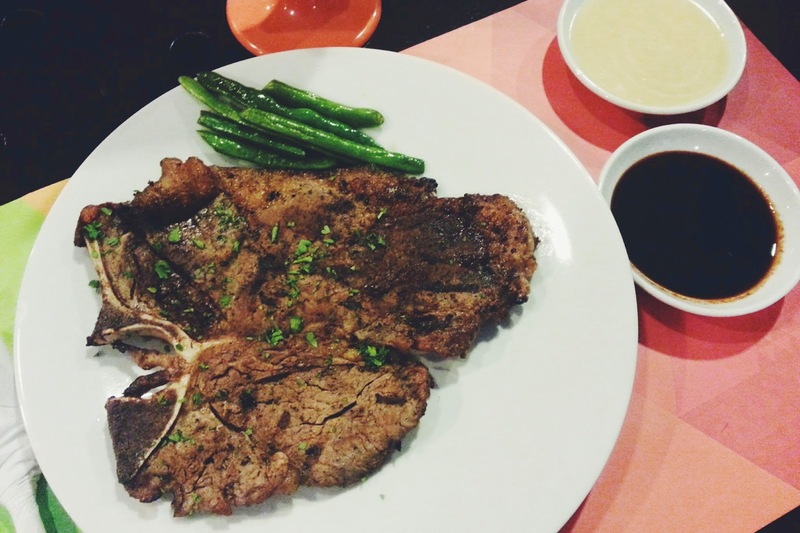 I had no photo of the extremely delicious and addicting gravy (actually, that's bone marrow gravy) huhu. It really made the steak even more yummy than it already is! But since it's made of bone marrow, better consume it in controlled amounts even though they allow unlimited servings. They also offer desserts, they have cakes and some other sweets. I saw that they have revel bars and I might just drop by soon just to have that after devouring a steak. Haha. I already assumed that our next destination had something to do with the clue Snack Attack because desserts will always be last. 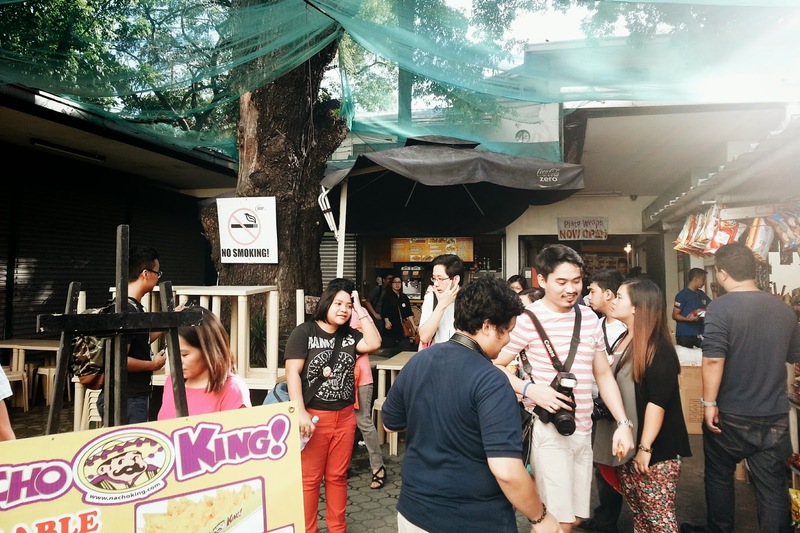 Our fourth stop was Agno Food Court which houses a number of concessionaires that offer food and snacks at student-friendly prices. We were given a task to do while in Agno Food Court: we were all given PhP120 to spend on any food we want, and we must buy and consume the food all in 20 minutes, which is mimicking college life where you always had to dine and dash to your next class, right? To save time, we basically ordered the same stuff. Haha. Ian had the mozzarella balls while I had twister fries, both from the Potato Giant kiosk. We both had fruit shakes from Fruitas as refreshments and Hello Panda for dessert. We had very limited choices since most of the stores were closed that day. This is not the most wise buys (and definitely not the healthiest picks) so long story short, we did not win the challenge. Hehe. By this time, we were already quite full and I'm so looking forward to a sweet treat. Next clue was Whip it good! 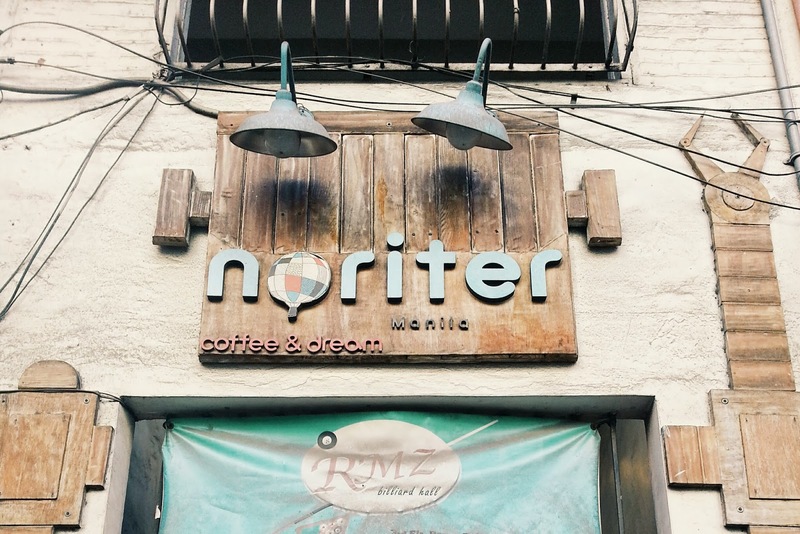 Finally was able to set my foot in Cafe Noriter! I have been wanting to visit this place since 2012 but never had the chance. Chef JJ described this cafe as "the most Instagram-able cafe ever." Hahaha. And he was right about that! The place is just too cute! That's it! 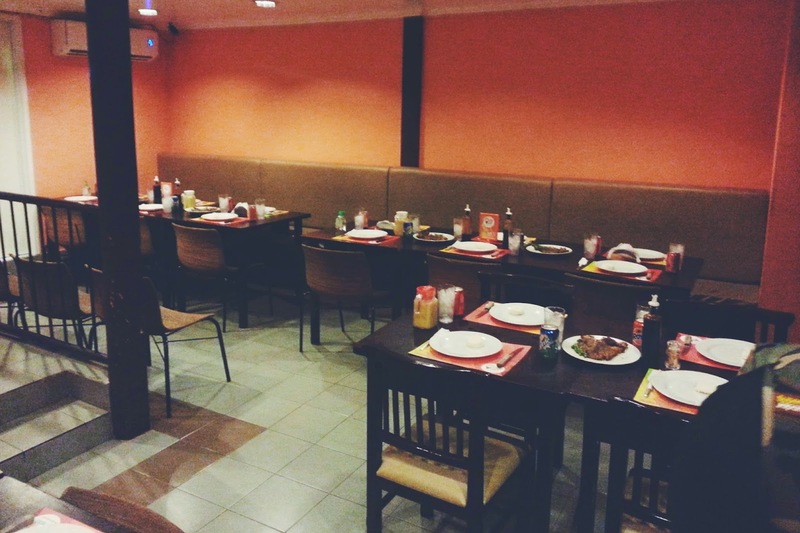 We had so much fun exploring and discovering new food places in the vicinity of Avida Prime Towers in Taft. It's indeed true to its name, a prime property that can cater all your housing needs! To end this post, here's a video of that half day of fun!